I was going through some of the stories I’ve written for my blog and realized that I never published this one. It was a little series I did – I think this is the 4th (and last, for now) installment. About a year later I took another trip to Negril. This time I went by myself. 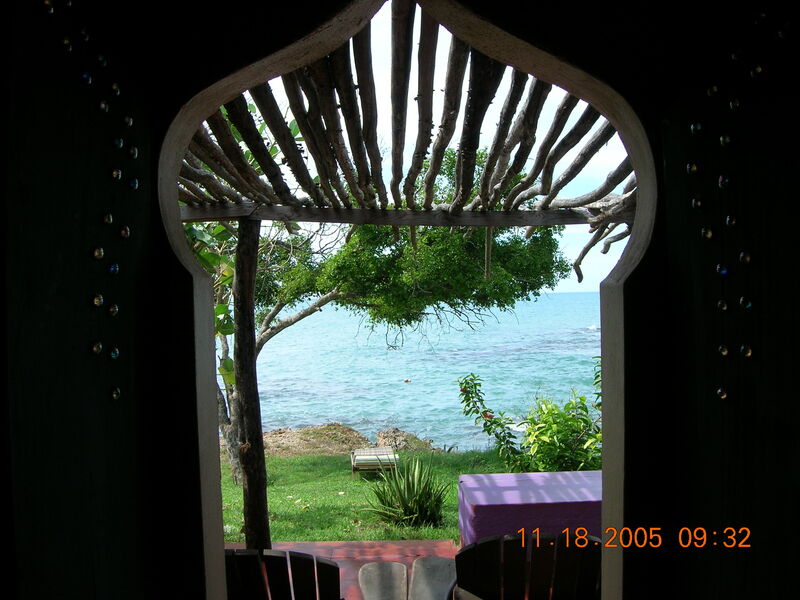 I had some personal decisions to ponder and what better place than Negril, Jamaica? I always feel so renewed when I’m there. 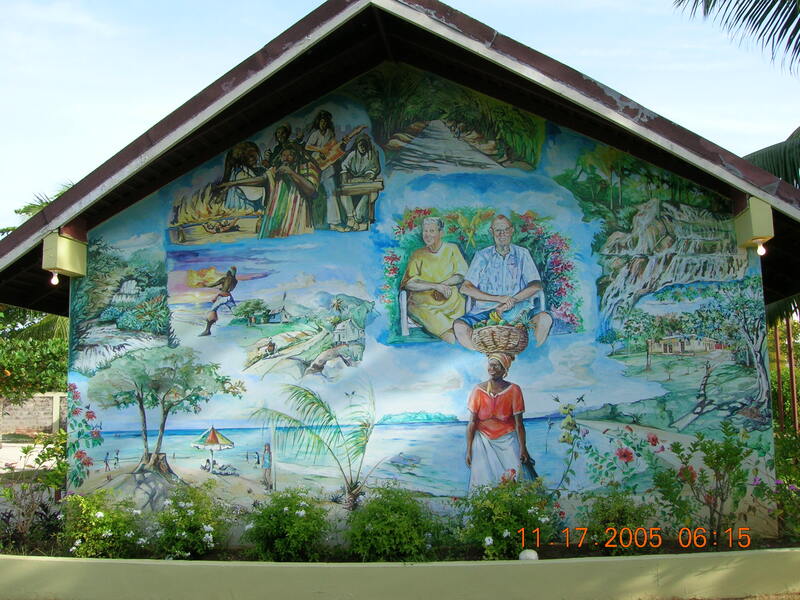 I felt comfortable visiting there by myself because I had a few friends there and I had met a couple of people on Jamaicans.com who would be there the same week. 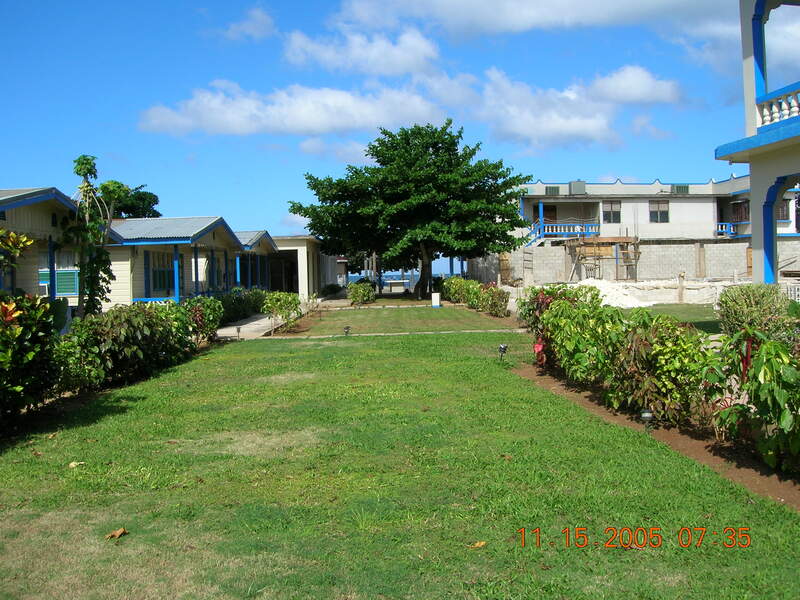 I started my stay at the West end of the beach at Travellers Beach Resort. My first order of business was to go for a swim. Then a nice cold Red Stripe and some food. I had an early night – that red-eye flight always does me in but I prefer it to spending a whole day traveling. I spent a couple of days at Travellers. This is a pretty good location if you want to be near town. They have some very nice rooms – I was in one of the little cottages, but I wouldn’t recommend them – they were very tiny. I spent my days walking the beach and meeting up with my new friends from Jamaicans.com. Turns out one of the couples that I had been communicating with lived only about 5 miles from me. They have turned into good friends. Later in the week I moved to Yellowbird. This is a very budget property, but I really liked it. They have regular hotel rooms with refrigerators; a bunk room with a shared bathroom; a kitchen that everyone can use if they want. 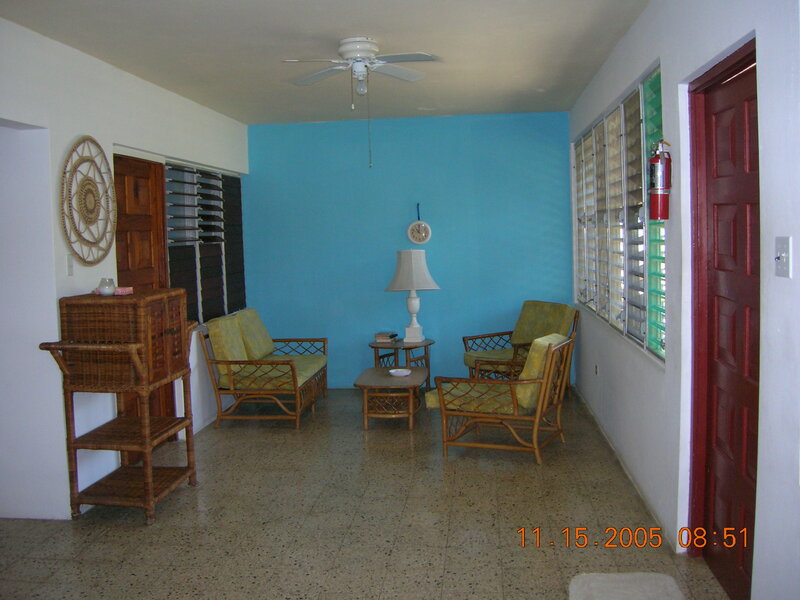 They also have 2 bedroom units in duplexes. In these units you go in the front door and have a living room on one end, dining room at the other and a kitchen in the middle. This big room is screened in with louvers and a couple of fans for cooling. The furniture and appliances are pretty old, but I found it to be comfortable. There are 2 bedrooms, each with their own locking door. Again, there are screens with louvers into the living area. 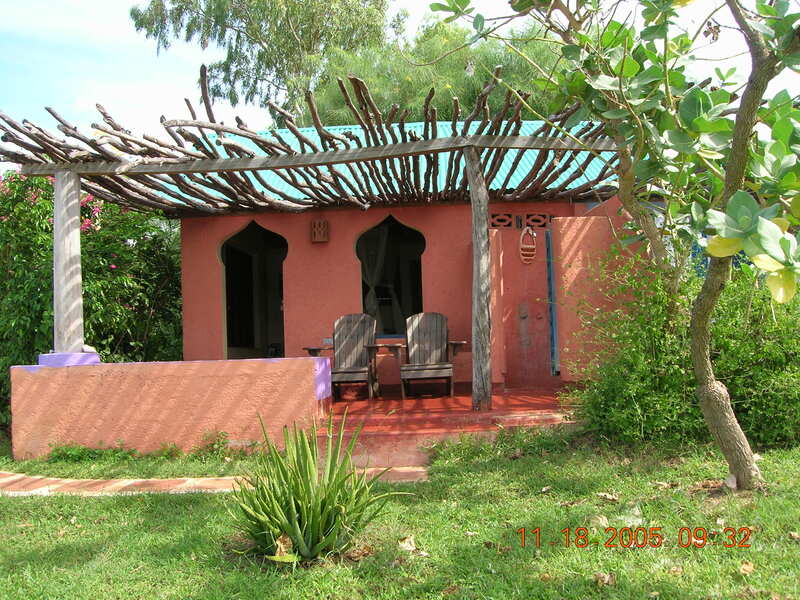 The bedrooms have 2 double beds, a small dresser, air conditioning and their own bathroom. The security was very good here and also there is a fence across about 2/3rds of the property between the beach and the property. This way you can sun yourself on the sand among the palm trees without being bothered by the vendors on the beach. The bar is nearby, as are the soothing waters of the Caribbean Sea! I really enjoyed traveling by myself. I met a lot of wonderful people and everyone wants to take care of you when you are alone. I got invited to dinner a lot. I hired a driver to take me out and about a couple of days. Tommy was wonderful. 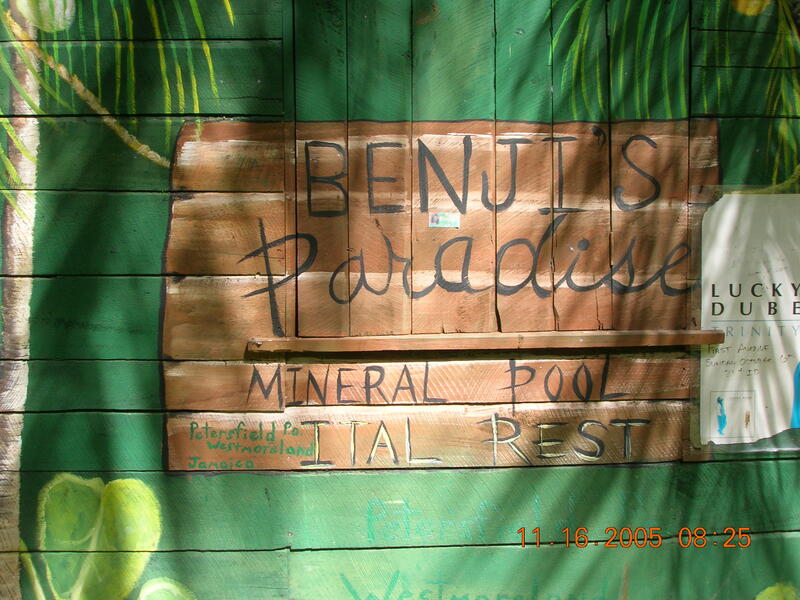 We went up to Benji’s at Roaring River one day. It was so peaceful and beautiful. We spent several hours there. Unfortunately Benji had to leave shortly after we arrived – but he did have time to cook us our Ital lunch. A couple of days later we went down to Treasure Beach. I wanted to check out Jake’s for some clients who were interested in staying there. What an incredibly beautiful and peaceful place! If you really want peace and quiet this would be a great place to spend a week. I’ll let the pictures speak for themselves. 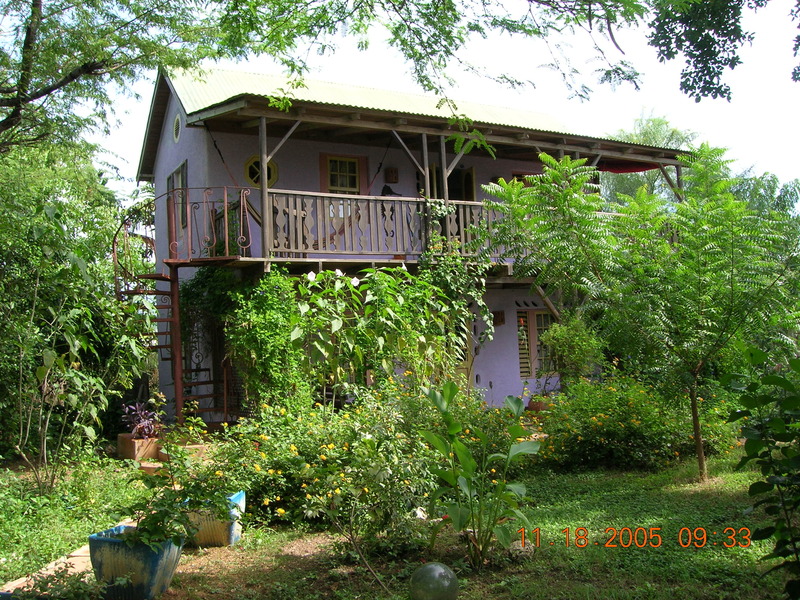 I also toured several other small properties including the Grand Pineapple which was very cute. What a fabulous bargain this is – as part of the Sandals family it is a bargain all-inclusive right in the center of Seven Mile Beach. I also toured Coco la Palm and Legends. I think there were a couple of others, but they don’t come to mind right now. As always, this week went by much too quickly. I love Jamaica and can’t wait to get back, but I know that I need to visit other Caribbean islands too. So, my next trip, hopefully soon, will be to another of these beautiful islands. Welcome to Grand Pineapple Beach Resorts, where Paradise is affordable is included from meals, drinks, watersports and entertainment! Grand Pineapple Antigua sits on Long Bay Beach, one of Antigua’s most beautiful beaches with fine white sand, calm turquoise water and Almond trees along the shore. Some of the islands best snorkeling is just a short walk from the resort. With just 180 rooms, this is a delightfully casual resort. Enjoy your day by hanging out at the beachfront pool sipping a fruity cocktail, or unwind in a hammock with your favorite book. For lunch visit The Outhouse, perched high atop a hill overlooking the water, where Miss Mary will cook up some lip-smacking ribs and invite you to carve a message into a wood shingle – a memory to take with you as well as one to leave behind. There are also 3 restaurants, 4 bars, a game room, and 2 pools including an oceanfront adults only pool. An extra inclusion at Grand Pineapple Antigua is a complimentary day pass to enjoy Sandals Grande Antigua and experience one of their 8 gourmet restaurants, 8 bars, 6 swimming pools as well as land and water activities. Grand Pineapple Negril sits on a perfect stretch of Seven Mile Beach within walking distance of Negril’s upbeat reggae clubs and offbeat cafes. 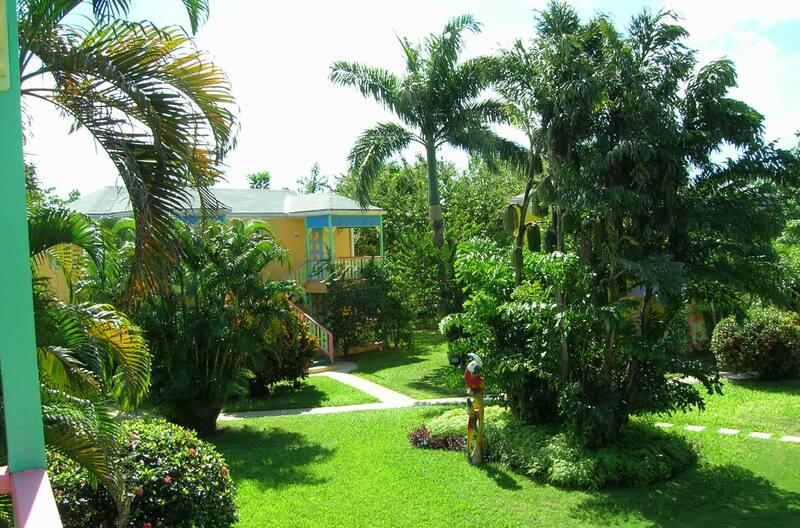 With acres of luscious gardens you will have no problem finding some private spots as well. The 65 charming rooms are colorful and inviting. 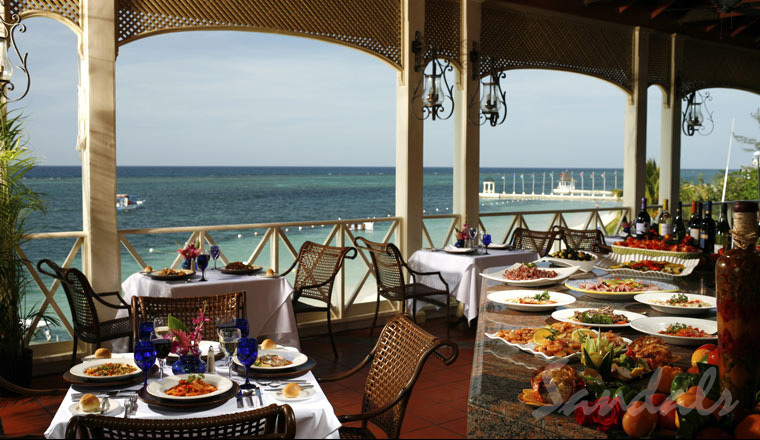 The Orchid Restaurant sits right on the beach – a perfect place to enjoy one of Negril’s stunning sunsets. A freshwater pool is tucked into the gardens, or you can enjoy a swim or some snorkeling in the warm, turquoise waters of the Caribbean Sea. 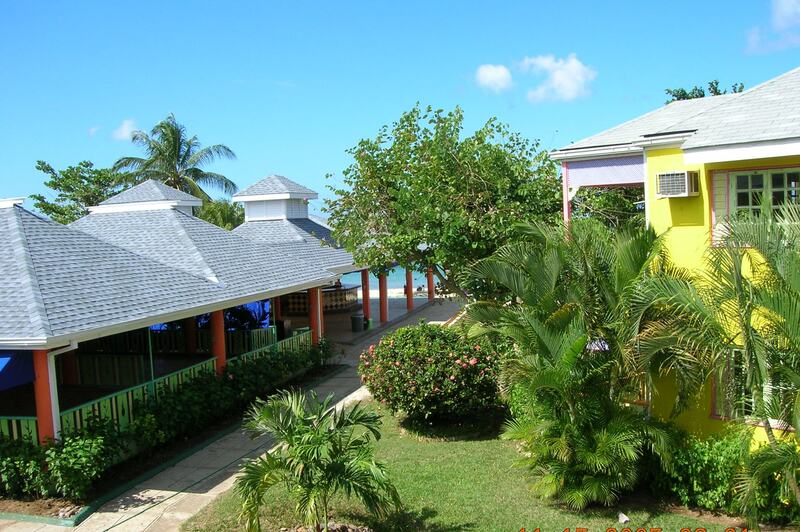 Grand Pineapple Beach Resorts are the perfect, laid-back resorts for families, singles or others who want to enjoy the all-inclusive vacation experience while on a budget. Royal Plantation Ocho Rios sit atop a seaside bluff above the stunning Caribbean Sea offering the perfect setting to truly get away from it all. The 74 All Oceanview Suites come with Butler Service and is a member of “The Leading Small Hotels of the World”. All your needs will be taken care of at this resort – with 3 Gourmet restaurants, two private coved beaches with Beach Butler Service, a Red Lane Spa, and the only Champagne & Caviar Bar in the Caribbean you will feel pampered from morning to night. Enjoy Yoga on the Pier, golf at the nearby Upton Gold & Country Club, or get your workout in the 24 hour Fitness Center or on one of the 2 lit Tennis Courts. Enrich yourself with Cooking Demonstrations and Cigar-rolling Classes. Make this a true worry-free vacation by opting for the “Royal Plan” and receive all of the complimentary inclusions as well as all meals, snacks, spirits & wine, scuba diving and roundtrip luxury shuttle airport transfers. For an even more indulgent vacation, choose the Villa Plantation, an exclusive 3 bedroom villa with private pool, butler, plus a car & driver to get you around town. 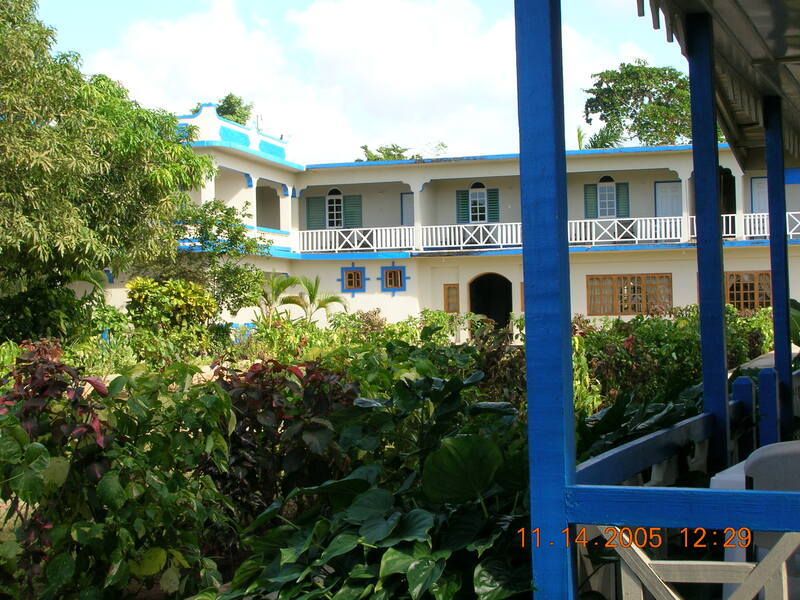 This resort will truly exceed your expectations with its combination of old world charm and Jamaican hospitality. Royal Plantation Island is in the Exumas, Bahamas. 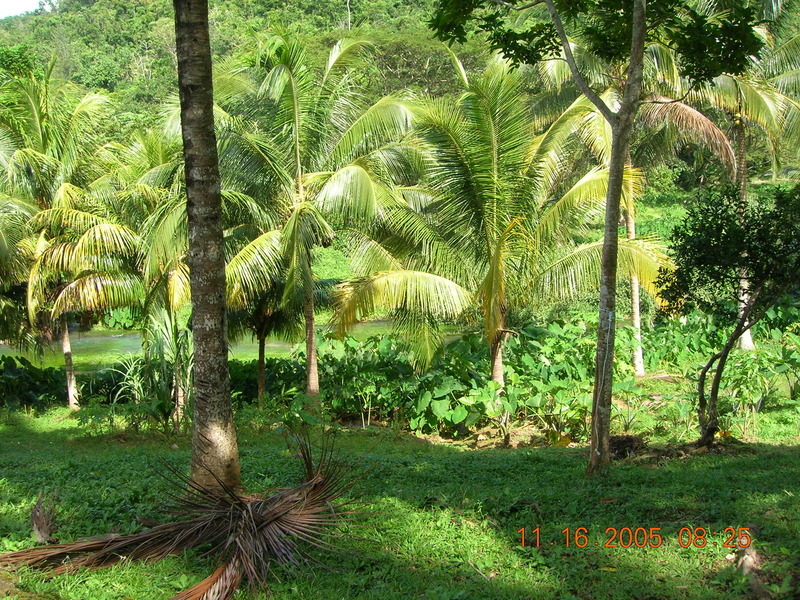 This breathtaking, private 50 acre island has 6 magnificent rental houses to choose from. All include a full kitchen, all food & drinks, a golf cart (per house), tennis court, kayaks & sailboats, and a motorized boat for guest 18 and over. You can also stay well connected with Satellite TV, DVD & CD player and Internet enabled computers. Not to mention the sensational cuisine in the Harbor Club Restaurant. What an incredible place this would be for a Destination Wedding or Family Reunion to celebrate a special occasion. 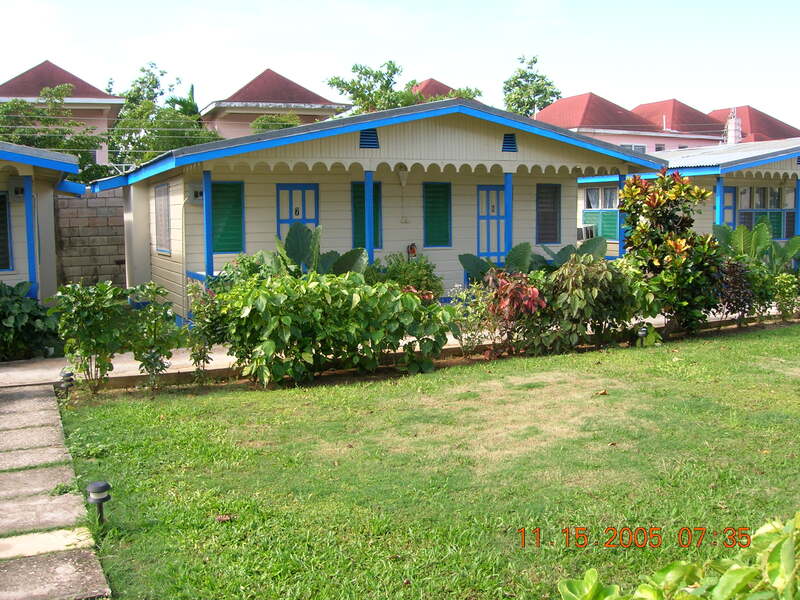 The Royal Plantation Private Villas of Jamaica are Butch Stewarts private homes which he makes available to those who insist on the very best and would like an unforgettable experience. Any one of these 4 stunning villas would be the perfect setting for a Destination Wedding or other special occasion. With accommodations for up to 16 adults these would also make be the ideal place for a small group of friends who want a private, exclusive vacation. Or you could choose one of the properties with a guest cottage which sleeps 4. You will feel like Royalty when you choose one of these fabulous Royal Plantation properties for your special vacation. And of course your Luxury Included vacation includes all of your meals, snacks and drinks. Beaches Turks & Caicos is a tropical resort with international flair with a French Village, Italian Village and Caribbean Village. Just over an hour from Miami, this jewel-like strand of islands strung close together in the brilliant turquoise seas. In this paradise, flamingos outnumber residents and humpback whales are seen close to shore. There are 7 swimming pools including a zero-entry pool with a waterfall, a kid-size pool for the little ones, swim up bars for the grownups, Pirates Island, and the half-acre fantasy pool in the Italian Village. Beaches Turks & Caicos also offers an exclusive scuba programs for kids 8 and up. With 30 room categories, there is something for every family here, with suites that sleep up to 14 people. And with 16 restaurants to choose from, you will be able to satisfy the most discriminating appetites. 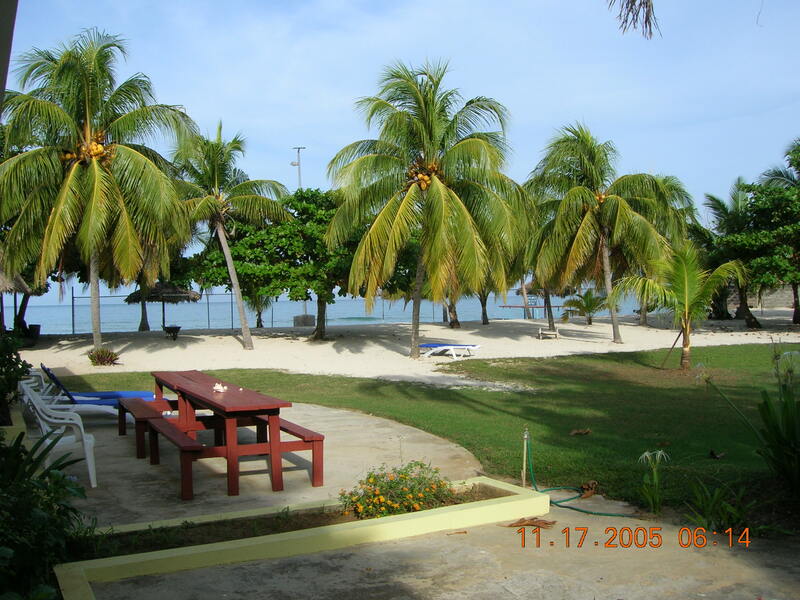 Beaches Boscobel at Ocho Rios, Jamaica is truly a resort with something for everyone. Set on a beautiful white sand beach at the base of the St. Ann Mountains, this resort does the impossible – it makes everyone happy.As always you have the spa, unlimited water sports and land activities, but you also get unlimited golf and green fees for the whole family and a golf camp for 8 – 16 year olds. There are 12 room categories, 5 restaurants, and 4 pools. There is also great sightseeing and shopping nearby. 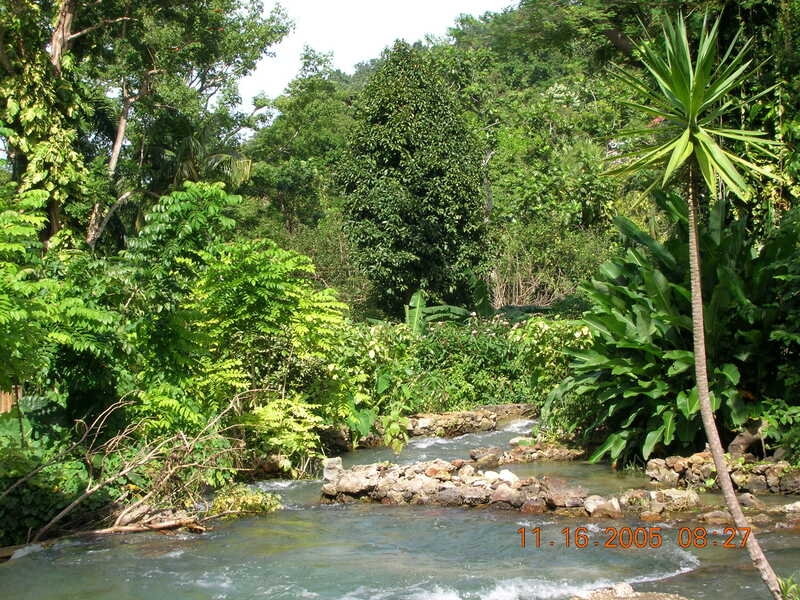 You can visit the magnificent Dunn’s River Falls, Swim with the Dolphins, and more. Beaches Negril is set on the widest part of Negril’s famous 7 mile beach. Get ready to let go, let your hair down, and just relax. 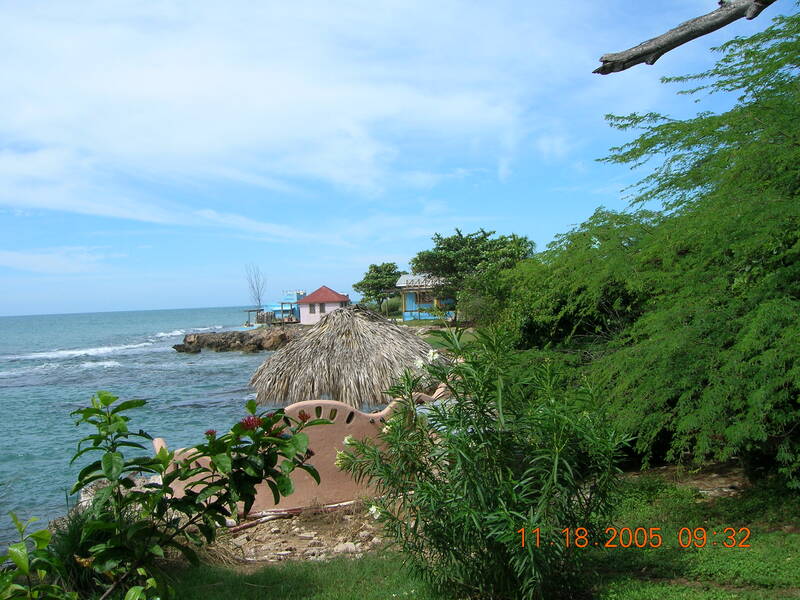 Negril is known for it’s laid back atmosphere where no building is taller than the tallest palm tree. This resort offers it all from exciting water sports, relaxing beach activities, and all of the amenities of the Luxury Included Beaches experience. 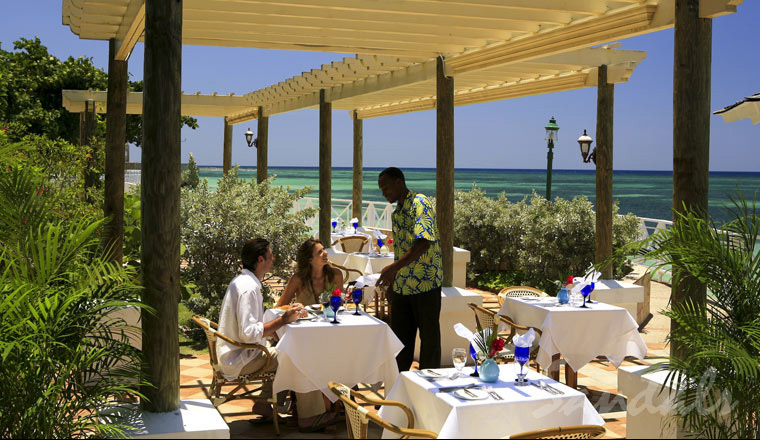 5 restaurants, 3 pools, 11 room categories and full exchange privileges with Beaches Sandy Bay. 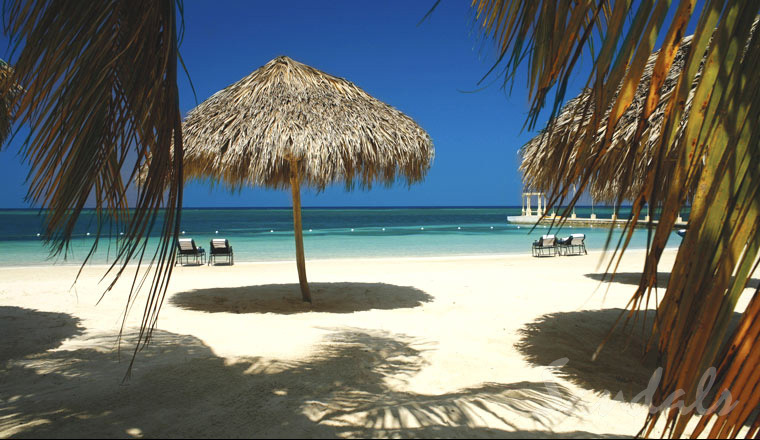 Beaches Sandy Bay in Negril, Jamaica offers carefree relaxation in Paradise. Relax and leave the real world behind, this unhurried place is all about kicking back and enjoying the warmth and relaxation of the tropics. This resort offers a more intimate experience with just 128 rooms in 9 room categories, 2 pools and 4 restaurants. Although there is no water theme park here, with full exchange privileges at Beaches Negril you won’t miss a thing. No matter your age, when you visit one of the Beaches Resorts you will feel like it was designed just for you. And it was! I’ll start where it all started, Jamaica and Sandals Montego Bay. 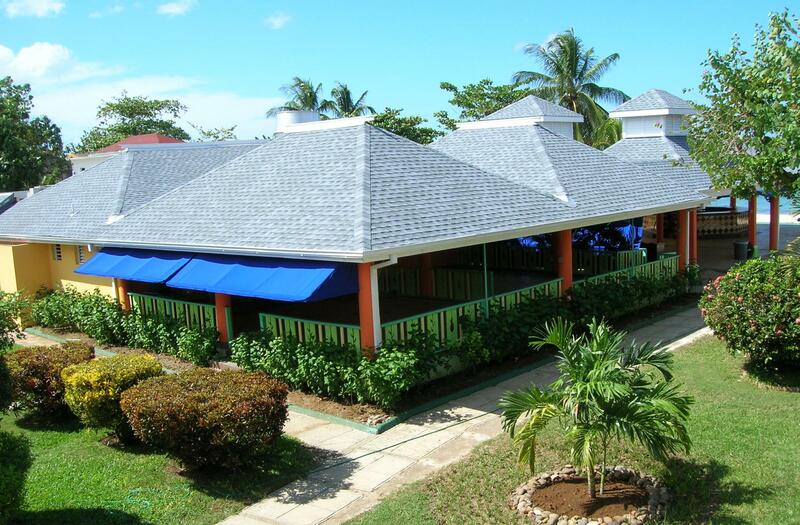 This is the most active of the Jamaica Sandals, with a fun party atmosphere. 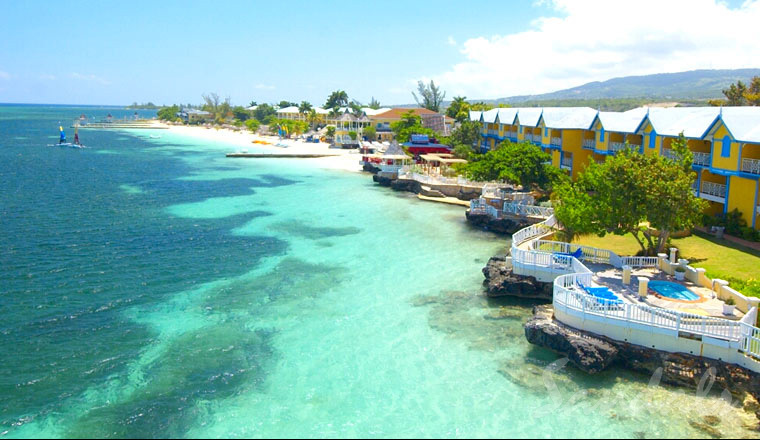 This resort is on the largest private white sand beach in Jamaica, making it the perfect choice for a high-energy beach oriented vacation. This resort offers casual elegance with Caribbean style, with 251 rooms in 17 different categories including Butler and Concierge level suites. That’s right – 17 categories from the Deluxe Oceanview Room all the way to the Prime Minister’s Beachfront Suite at the Bay Roc Villas. Which category would you want to stay in? Maybe a Grande Luxe Beachfront? Or the Water’s Edge Concierge Room? Or one of the Bay Roc Villas complete with Butler? So many choices! Speaking of choices, with 7 restaurants, including the new Stewfish Restaurant and 5 bars to choose from you have plenty of dining choices. There are 4 pools, 4 whirlpools, a wedding chapel as well as beach gazebo and garden locations for weddings, and the fabulous, award winning Red Lane Spa! This resort is located under the flight path for the airport. The staff has started a great tradition of waving at the planes as they depart, and all the couples kiss. The resort also has new Fire Pits on the beach for extra romance in the evening, plenty of palapas for shade during the day – some with hammocks or beds for comfort. 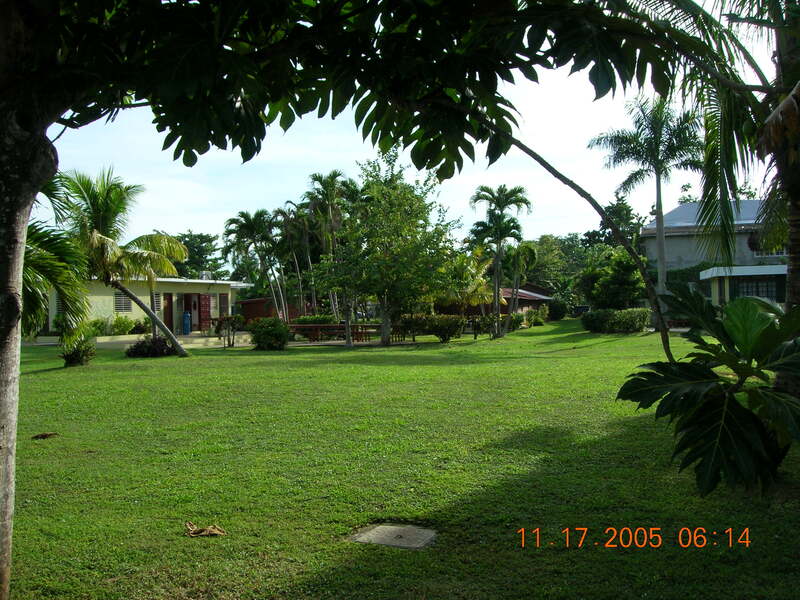 Want a little privacy, the 26 acres of grounds provide many opportunities for you and your loved one to have some time to yourselves, walking through landscaped gardens filled with fresh fruit trees and tropical flowers. Daytime activities include watersports, beach and pool volleyball, tennis, a fitness center, or you could opt for a local tour like Bamboo River Rafting, Deep Sea Fishing, a Zip Line Canopy Tour, or a Catamaran Cruise. In the evenings there is nightly entertainment including music and theme parties. You can indulge in as many of these activities as you like, or none at all. I have a special place in my heart for Negril. I love the 7 Mile Beach, and Sandals is set on the longest and best stretch of this beautiful, white sand beach. 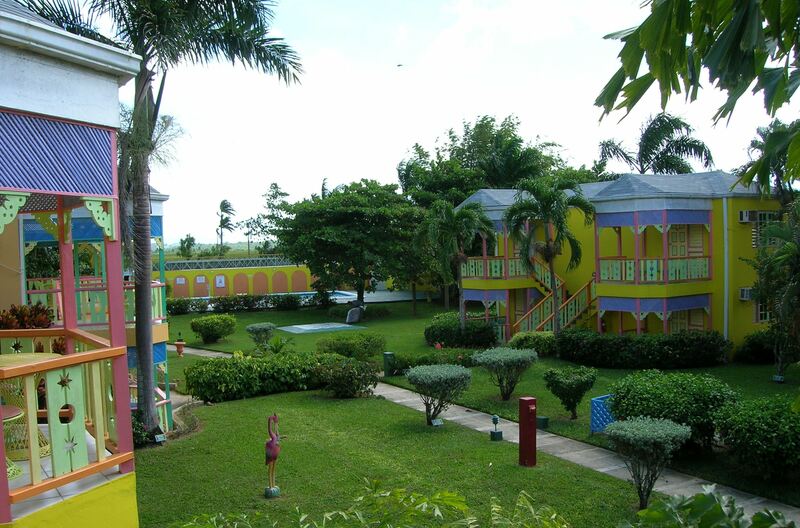 This is the ultimate Jamaica Beach Resort. You will experience breathtaking sunsets from all but one of the restaurants making this a wonderful setting for romance! No building stands taller than the tallest palm tree, most rooms are just steps from the beach. Sandals Negril features 3 pools, 3 whirlpools, 6 restaurants, 5 bars (including 2 swim up bars) and 13 room categories. It is hard to choose which room category is best – do you want a Swim-up Suite, a Sundown Loft Suite or one of the private Millionaire Suites? The concierge categories include 24 hour room service, but the Butler categories include personal butlers trained and certified by the prestigious Guild of Professional English Butlers. Enjoy a long, romantic walk along the 7 Mile Beach, spend an afternoon at Rick’s Café on the cliffs – watching the daredevils dive from high atop the trees into the crystal waters of the Caribbean Sea, take a glass bottom boat ride – the water and beach activities are endless in Negril. Sandals Negril offers numerous choices for evening entertainment, but if you prefer you can try out one of the clubs along the beach. Last time I was there I got to see Gregory Isaacs playing – what an incredible experience to see this Reggae legend playing at a club right on the beach in Jamaica! This is one of the most romantic of the Sandals resorts, set on the incredible stretch of beach called the Caribbean Riviera. 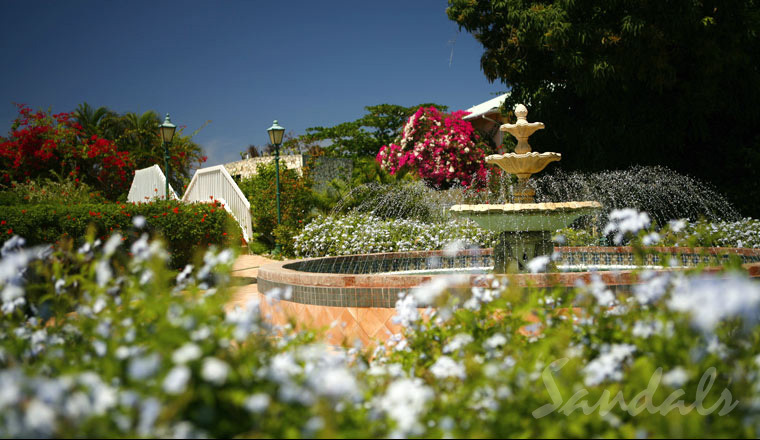 This resort encompasses 100 acres and includes exotic gardens, gorgeous beach, a Grande Promenade stretching out over the sea, and a hidden grotto pool tucked into the shade of a secluded garden. You can enjoy complimentary golf at the Sandals Golf & Country Club located here, as well as not one, but TWO Red Lane Spas. You have your choice of an incredible 11 restaurants and 10 bars, 7 main pools, 93 villa pools, 22 whirlpools. There is a scuba diving center, Rock Climbing Wall, and 22 room categories. The Ciboney Villa Suites are nestled among lush tropical trees and flowering plants and offer the exclusivity of a private villa with all the advantages of a world class resort. These are perfect for a private party – many villas feature 4 luxurious bedrooms and a private pool. 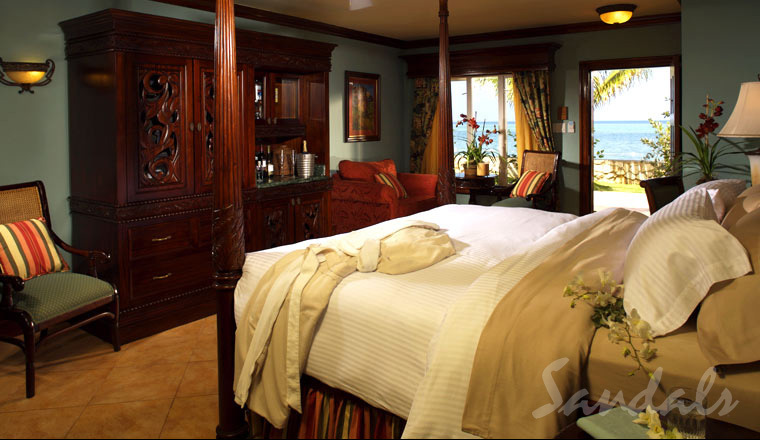 The Romeo and Juliet Suites are perfect for Honeymooners, each with a private pool. This resort offers a vacation with everything – spa, beach, pools, sight seeing, shopping, and golf. There are fabulous tours available including the a trip to Nine Mile – Bob Marley’s birthplace, Dophin Encounter, Jamaican Bobsled experience, or a Bicycle Adventure in the Blue Mountains.